Are you looking for the best pressure washer? Have you tried different pressure washer but never get the proper utility? Are you looking for the cheap pressure washer that gives you maximum satisfaction? If your answer is YES for any of the above questions then you are in the right place! We review almost every pressure washer available right now in the market and then select the best one only for you. We will also give you in detail guideline about how to choose the best pressure washer and make the proper use of it. If you are looking for a specific type of washer then you can jump to the Types of pressure washer through the table of contents. We also have an F.A.Q. section to give you the answer to most asked questions. Below are the top pressure washer reviews to ensure that you can pick the right one for your work. 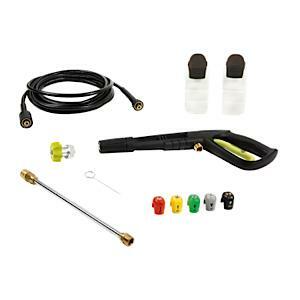 20 How To Add Quick Connects Disconnects to Electric Pressure Washer? 21 How Does a Pressure Washer Work? 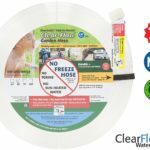 22 Can pressure washer damage your print work? Snow Joe is one of the most popular brands of Amazon in the pressure washer and many other categories. There are different models of pressure washer available and among them, spx3000 electric pressure washer is the most reviewed and best seller product. First of all, let’s talk about the important features of this product. Sun Joe washer has a powerful motor which is 14.5-amp/1800-Watt and also has 2030 PSI/1.76 GPM for maximum cleaning power. It has a total stop system(TTS) to automatically shut off the pressure washer pump to save energy. It has duel detergent tank for simultaneously working on different projects. You will get a lot of accessories with this washer for free. 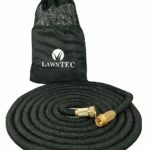 There will be a 20-foot high-pressure hose, 35-foot power cord with GFCI protection, two 30.4 ounces removable detergent tanks, 5 quick connect spray tips, garden hose adapter, and needle tool. It has also SPX-PCA10 which is 10-inch surface, deck and patio cleaning attachment from SPX series. It has SPX-RB1 and SPX-TSN-34S which are rotary wash brush kit and quick connect turbo head spray nozzle respectively. The good news is, you can buy all these accessories on Amazon if you have any issues. Now, let’s talk about some versatile uses of this product. This is the ultimate dirt fighter. 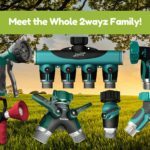 You will get a 5 quick-connect spray nozzle that will help you to put pressure on the dirt differently. It has enough power for washing cars and small pressure washer jobs as well. You can use it for removing tar and grease from concrete, heavy mildew stains, oil stains, rust from steel, caked mud on equipment and so on. 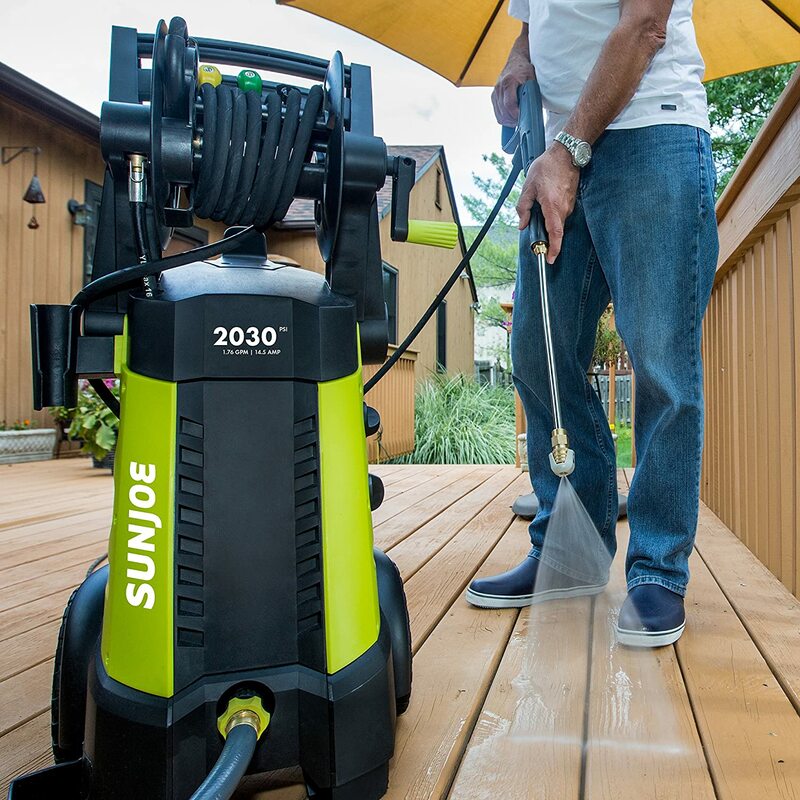 Read the full review of Sun Joe pressure washer brand. Can a professional foam lance be attached to this? How much time can I use the machine before shut down? 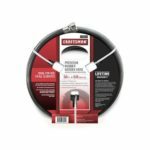 Do I need to also buy the quick connect kit ? 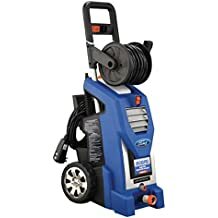 The Ford pressure washer is a great product manufactured by the Ford. The PSI is 1800 and the power flow is 1.6 GPM. 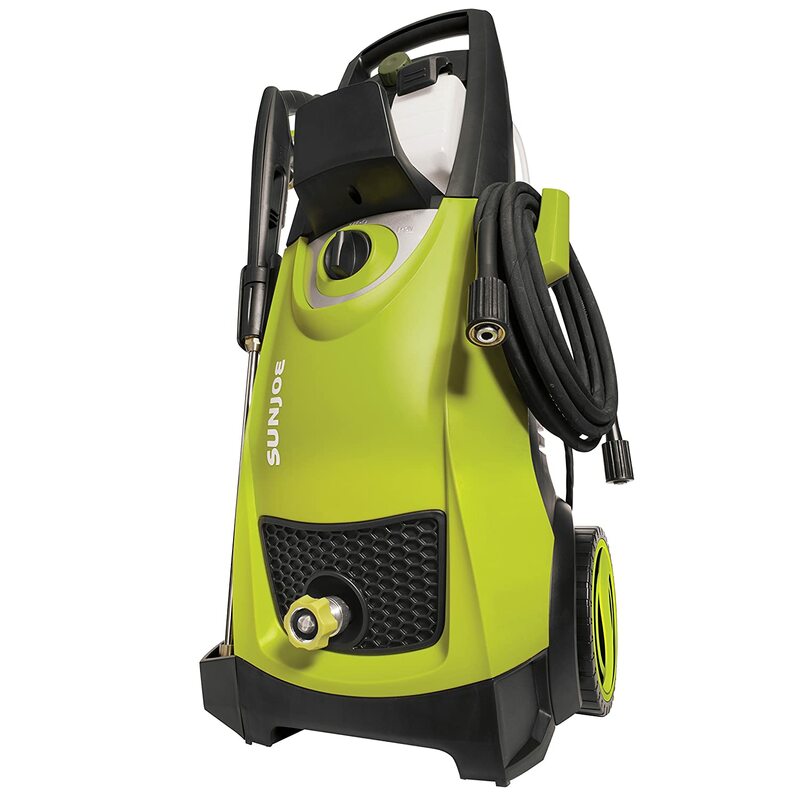 It has turbo position cleaning capability which makes it 30% more capable than an average pressure washer. You will get some special bonus with this washer such as a car detail brush for wheels, small or enclosed surfaces and an orbital hand wand brush that is ideal for automobiles. 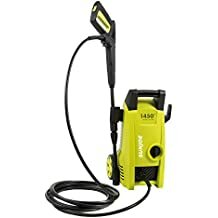 You will get a lot of accessories with this pressure washer. There will be a 25-foot high-pressure hose and hose storage reel as well. There will a nozzle that has 4 different nozzle tips which are Turbo, HP stream, wide fan, and soap. It also has a removable soap tank and 35-foot power cord with GFCI and cord wrap. The product is very lightweight and heavy duty as well. 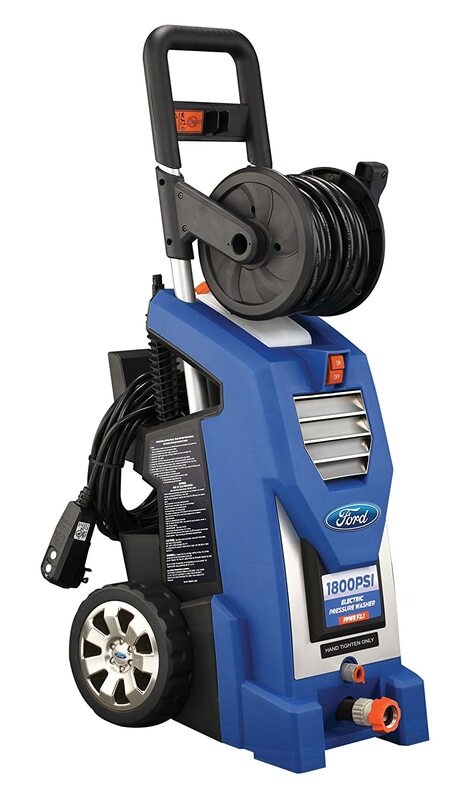 Watch the demonstration video below of Ford pressure washer. 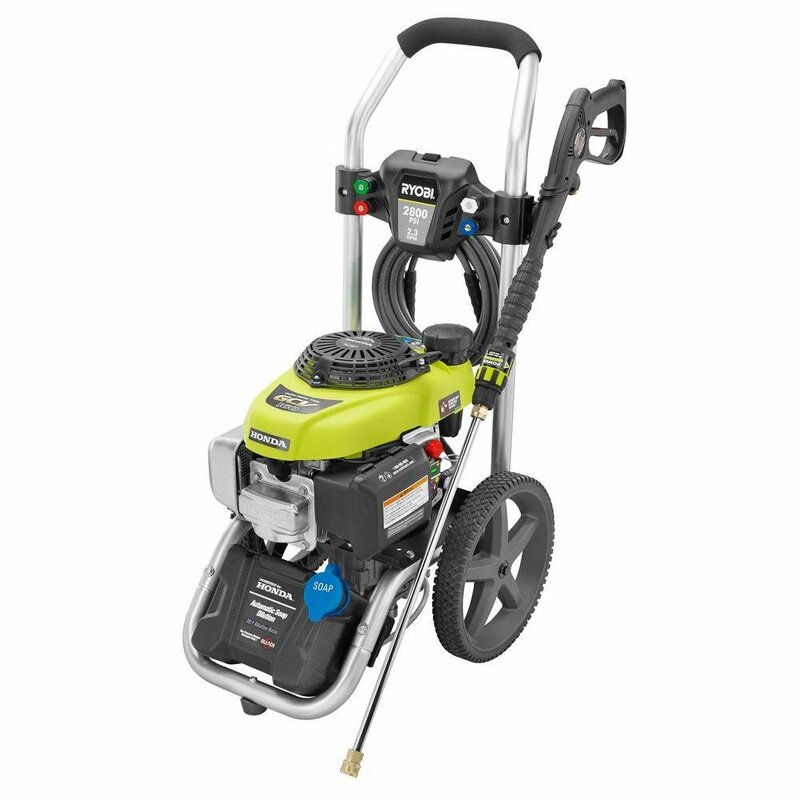 You can get this pressure washer for both electric and gas powered. Both versions are great and you just need to pick the right one for your uses. It is always great to have some warranty on your products. This washer is backed by a 1-year warranty against manufacturer defects. You should definitely buy this product because Ford has a great customer care service if there are any issues. Read the full review of Ford pressure washer brand. Is this product delivered assembled? No but it was very simple to assemble. Does the pump shut off when the trigger is released and is this washer safe to wash an RV camper with decals? 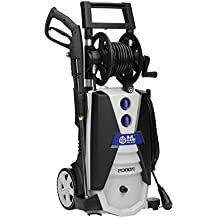 Snow Joe is one of the most popular brands of Amazon in the pressure washer category and this is another great model from the same manufacturer.SPX3001 has the same PSI of 2030 and flow rate is 1.76 GPM. You can use it for versatile uses and this can be your ultimate dirt fighter. First of all, let’s talk about the features of this product. Sun Joe washer has a powerful motor which is 14.5-amp/1800-Watt and duels detergent tank can help you for simultaneously working on different projects. You will get a lot of accessories with this washer for free. 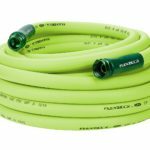 There will be a 20-foot high-pressure hose, 34-inch extension wand, 35-foot power cord with GFCI protection. 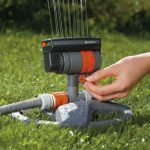 It also has two 30.4 ounces removable detergent tanks, 5 quick connect spray tips, garden hose adapter, and needle tool. 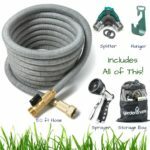 This product is great for the garden, outdoor and all kind of pressure works. This product has 2 years of warranty and they have great customer care services. This washer is the lightweight and heavy duty as well. The washer has an onboard hose reel for quick and easy clean-up and storage. You will not regret if you buy this product. Read the full review of Sun Joe pressure washer brand. 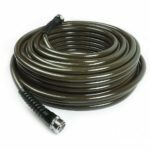 Is the hose made of full rubber or it is braided(like a braided usb cable)? It’s a heavy cable-like material…likely what you refer to as “braided”. How much hose does the hose reel hold ? If you want to eliminate dirt, grime or even mildew from any hard to remove spot or area, you should definitely check out Simpson Gas pressure washer. This is the most heavy duty and professional washer available in the market right now powered by HONDA. First of all, let’s talk about the main features of the product. The PSI of the product is 3300 at 2.5 GPM. It is perfect for the ‘Do-it-Yourselfer’ looking for maximum performance with minimal investment. 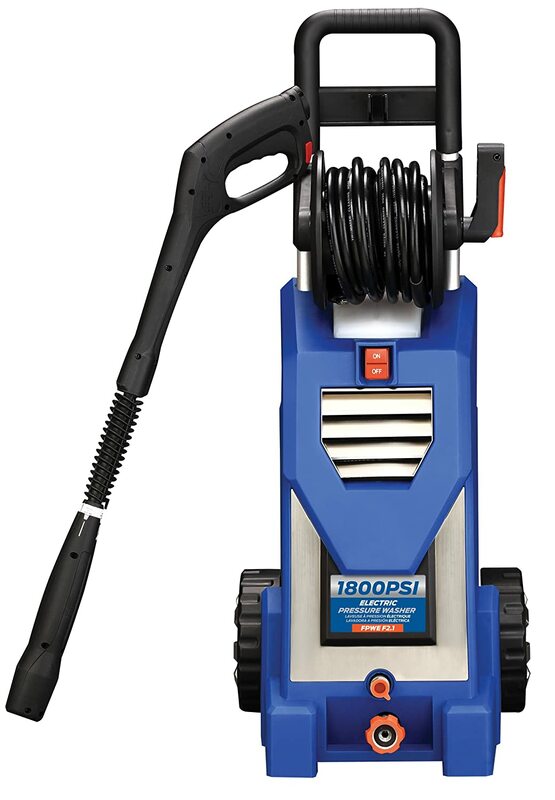 This gas pressure washer has made with advanced technology and very easy to use. It has premium pneumatic tires for ease of mobility. Watch the interesting video below to get some idea about Simpson pressure washer. You will get lots of accessories with it such as high-pressure hose, OEM technologies axial cam pump, pro-style spray gun, and wand. 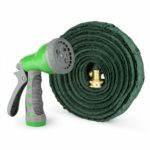 The hose is 5/16-Inch x 25-Foot, heavy-duty and lightweight. The nozzle has 5 different nozzle tips so that you can clean all kind of surface. There is a siphon tube that will help you to easily apply the detergent anytime. The power source of the product is Gasoline. 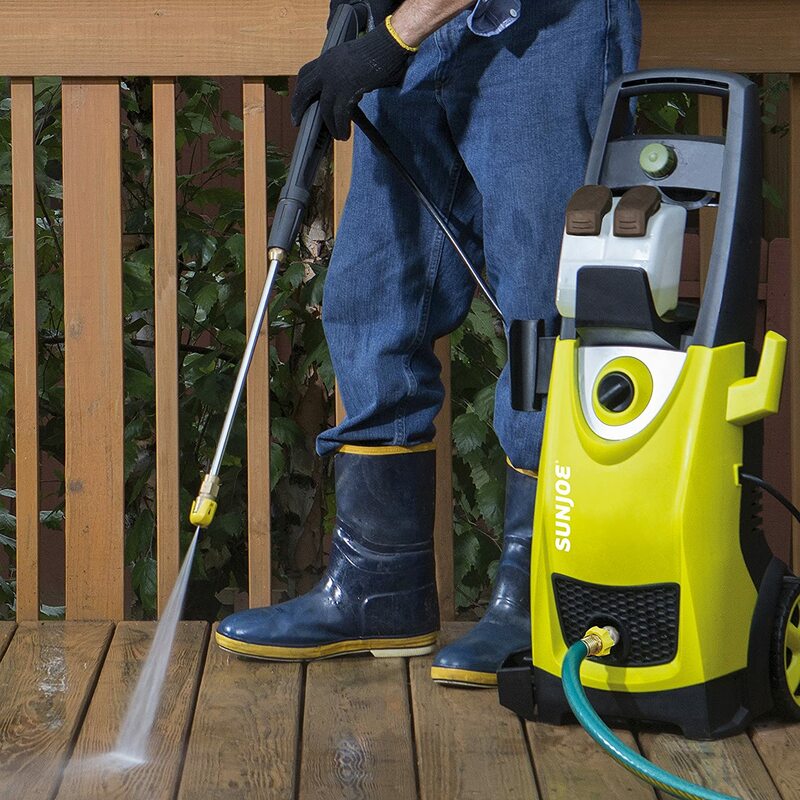 This overall pressure washer is backed by a 1-year warranty. 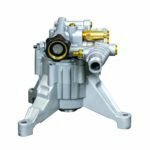 The ENGINE has 3-year limited consumer warranty, pressure washer pump has 5 Year limited warranty and FRAME has a 10-year limited warranty as well. The warranty will give you mental satisfaction and work with pleasure. The only con is the high price of the product but you know, quality product always have some extra value. Read the full review of Simpson Cleaning pressure washer brand. How load is the engine? Does the hose and tips come with machine? Can I connect it to 5/16 hose supplied with PS3228 ? It is can accept a 3/8″ quick connect. If you don’t have 3/8″ quick connect, you may be able to buy one or just replace your ends. 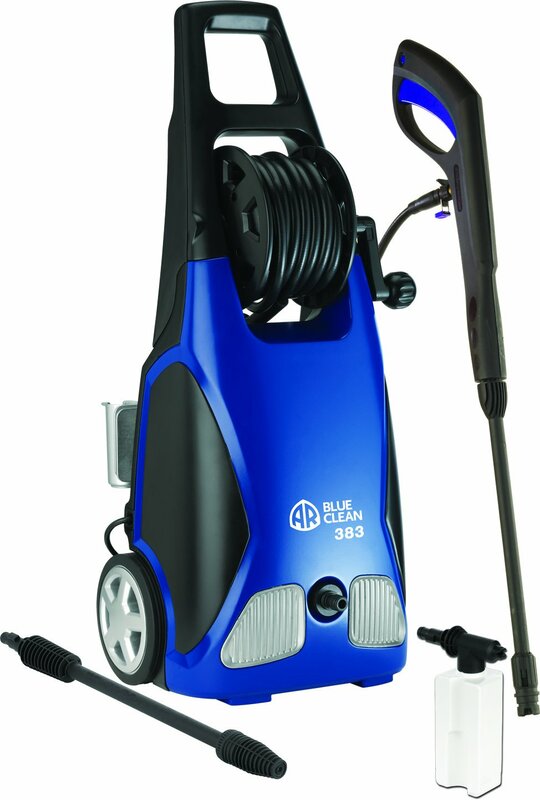 The AB Blue Clean AR383 electric pressure washer is the popular washer of the manufacturer called Annovi Reverberi which is the world’s leading manufacturer of diaphragm pumps for agriculture and piston pumps for industrial washing. This washer is great for outdoor cleaning. You can clean patios, siding, driveways, cars, trucks, and much more. Special Note: You might be wondering if the product is so good why the rating is 3.7 only. The reason is the product has more than 3000 reviews on Amazon and other platforms as well. As the review goes high, the rating goes low. 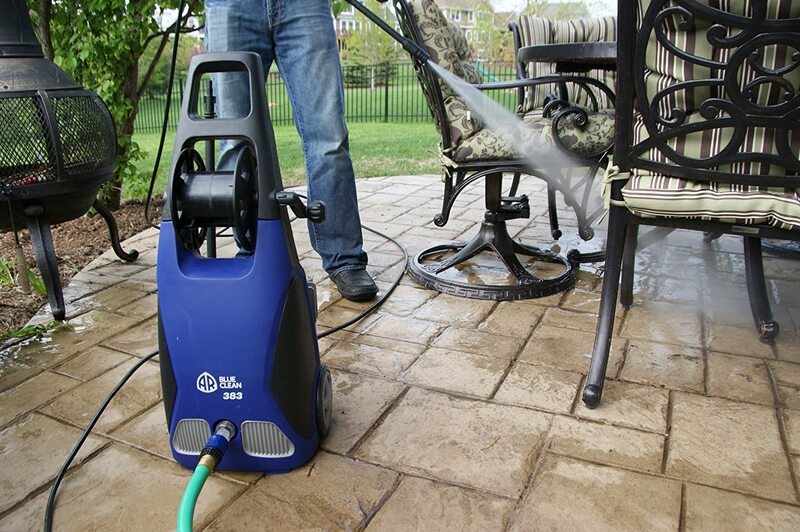 You will get a lot of accessories with this pressure washer. There will be a professional style pressure washer gun, pressure washer wand, 20-foot high-pressure hose, turbo, and variable nozzles. You can use it not only for the outdoor cleaning but also for wood surfaces like decks, siding, and fences. This washer is also great for the vehicle cleaning works. which brass hose connector as replacement? Yes, use the one that came with it. A little Teflon tape & don’t over tighten the fitting. Treat a tool properly & you will get many uses from it. This is Not a heavy-duty or commercial unit. Treat it as such & you will get many years from it. IMO. Is it good for house siding? Yes, it’s a great tool for siding, windows, decks. Doesn’t rip or destroy siding or shingles. Can I get a warranty on this product? Sure, new one comes with manufacturer’s warranty. A pressure washer is a tool that helps you to clean up the cars. trucks, small pressure washer jobs and for removing tar and grease from concrete, heavy mildew stains, oil stains, rust from steel, caked mud on equipment and all kinds of outdoor works. Watch the video below to get an in-depth review of the best pressure washer. There are many types of pressure washer like a corded electric washer, gas powered washer, manual and battery washer. According to the features, there are commercial, heavy duty, light duty, professional, portable, residential, and etc pressure washer are available. There are many kinds of pressure washer but electric pressure washer is the best. 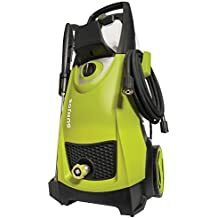 Almost all popular brand has an electric pressure washer. In our review, 4 out of 5 washers are the electric pressure washer. 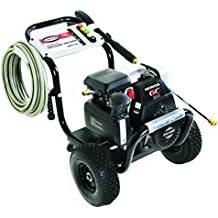 Let’s talk about the best corded electric pressure washer. 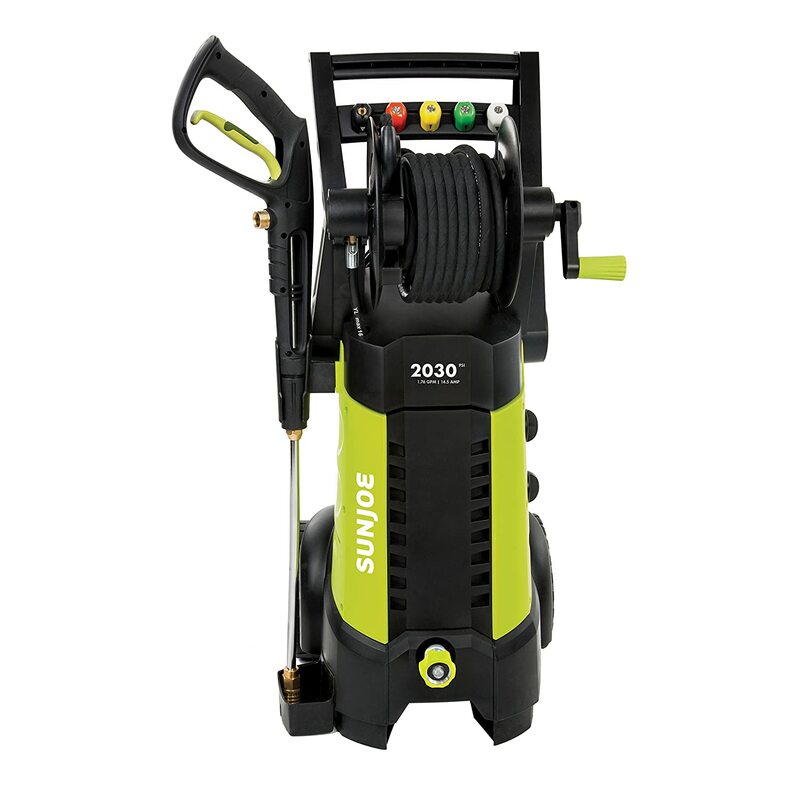 Sun Joe SPX3000 pressure washer is our first choice not only for the electric pressure washer but also among all pressure washer as well. 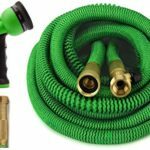 This is the best reviewed and best buy product in the pressure washer category on Amazon. It has 2-years of warranty and believes me you will never regret this after buying this. The gas power pressure washer might be also a great choice if you need some heavy duty and professional work to do. The price of the gas pressured washer is high than an electric washer and little bit heavier as well. 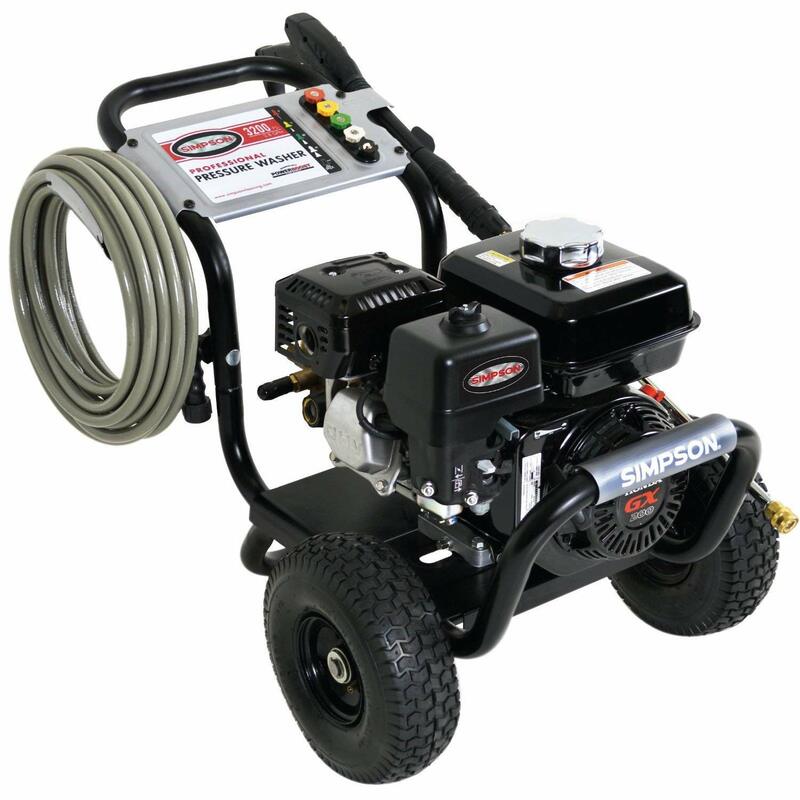 Simpson cleaning gas pressure washer is our second choice for the whole pressure washer category and this is the only gas-powered washer in our selected 5 best pressure washer. 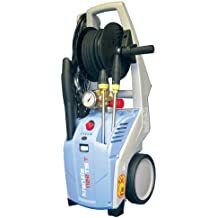 This is the best among all the gas pressure washer. The manual pressure washer is not what we recommend but if you like a manual washer, there are some good product. The price of the manual washer is pretty low than an average washer. A manual pressure washer is best for light to heavy household cleaning works. Serene life heavy duty washer is not only a manual but also an electric washer. This washer has great PSI and GPM ratings. This is very environment-friendly and easy to handle. It is ideal for household cleaning. The fit is backed by 1-year warranty. The heavy-duty pressure washer is heavier than an average washer and the price is also high. This kind of washer has a high-pressure hose which provides high flexibility. The PSI and GMP are higher than all kind of washer and they are long-lasting. 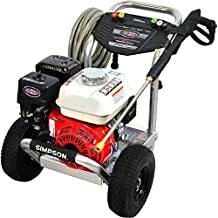 SIMPSON Cleaning ALH3425 Aluminum 3400 PSI Gas Pressure Washer is the most heavy duty washer available right now in the market. It has different PSI and GMP available at a different price. It has 3 Year limited commercial warranty, Pump has 5-year limited warranty and Frame has a 10-year warranty. Commercial Pressure Washer is great for all kinds of commercial works. The GPM is higher and the current rating is also high. The price of the washer is very high. You will get a longer hose with the commercial washer. 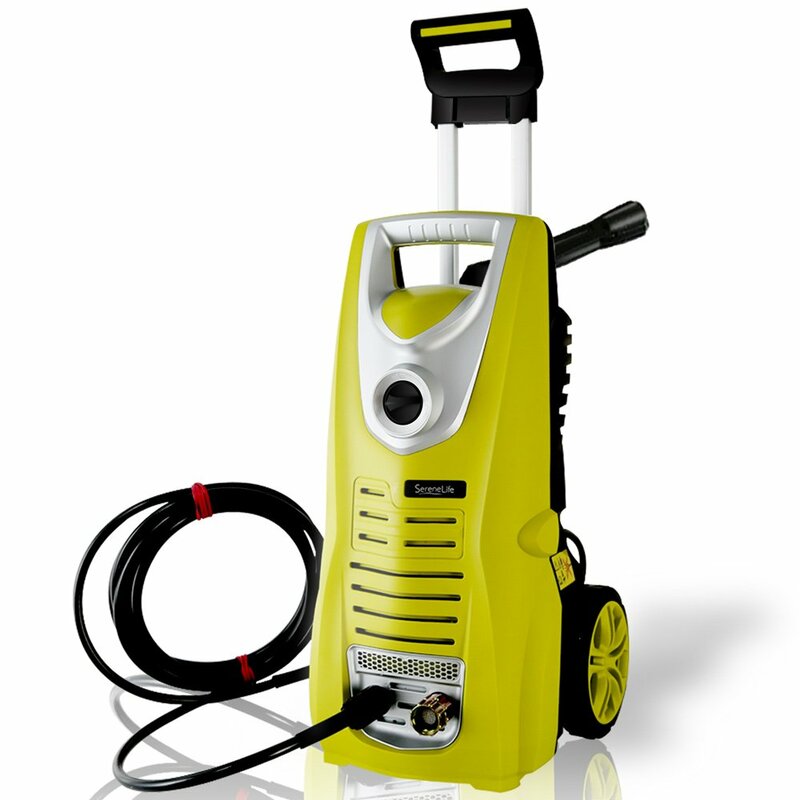 KranzleUSA K1122TST Cold Water Electric Commercial Pressure Washer is a great product with high value. The rating of the product is 4.5 and it has auto on/off control at the gun jet. The current rating of the product is 15 amps and PSI is 1400. A professional pressure washer is another important feature for all kind of professional work. The PSI of the professional washer is lower than other washers. They also have an almost 1-year warranty. 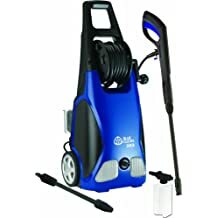 AR Blue Clean AR390SS 2000 psi Electric Pressure Washer is the best professional pressure washer available right now. It is a highly rated product. 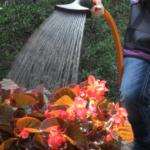 This is great for outdoor cleaning and environment-friendly. It is very easy to assemble and has 1-year ‘bumper to bumper’ warranty. The portable pressure is another kind of washer. There is a different kind of portable washer is available. Among them, Ryobi 2800 PSI portable Honda gas power pressure washer is the best. Ryobi 2800 PSI Portable Honda Gas Power Pressure Washer 2.3 GPM Including On-Board Detergent Tank is a great product with lots of accessories. This washer has a 2-year engine warranty and 3-year warranty on the pump. It is great for functionality testing, basic cleaning, inspection, and repackaging. This kind of washer gives you cleaning power, reliability and above all ease of use in an affordable, compact unit you can use to clean everything from patio furniture to driveways and decks. 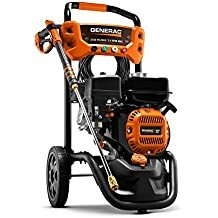 Generac 6923 3,100 PSI, 2.4 GPM, Residential Gas Powered Pressure Washer is the best residential pressure washer. It has a high PSI which is 3100. It has lots of accessories and also has a 2-year limited warranty. Light Duty Pressure Washer is great for light to medium duty cleaning jobs. In the lightweight washer, you can easily control the water pressure. Among a lot of popular brands, Sun Jow is the best. 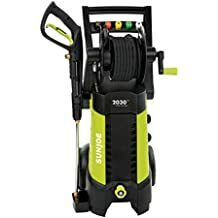 Sun Joe SPX1000 1450 PSI 1.45 GPM Electric Pressure Washer, 11.5-Amp is the best light duty pressure washer. The weight of the washer is only 9.2 lbs. It is manufactured by the popular Snow Joe manufacturer. It has a full 2-year warranty. A pressure washer is a must tool for all kind of cleaning works. 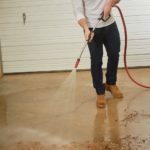 There are several uses of pressure washer like cleaning your cars or trucks, boats, outdoor furniture, decks, patios, garage door, floor or driveway, and the list go on. Choosing the best pressure washer might be a challenge but don’t worry, we are the professional here to give you the best solution. You need to consider the following 7 steps to find out the best pressure washer for your cleaning works. The power source is the most important factor that you should consider when choosing your best pressure washer. There are mainly four kinds of power source you will see that has been used in the pressure washer. The electric, gas, battery and manual washer. Nowadays, a combination of electric and gas powered is also available. Among them, an electric corded pressure washer is the best. The gas powered washer is also great for all kind of heavy duty, professional and commercial works. As the gas-powered washer has versatile uses than any other washer, the price is higher. Special Note: With no fuel or gas to add, electric pressure washers require less maintenance than a gas pressure washer. They are also compact, convenient and ideal for wide variety of light and medium duty cleaning jobs. On the other hand, the gas washer is best for the heavy duty works. There is a measurement of the water pressure created by the pump which is denoted by the PSI.PSI stands for Pounds Per Square Inch. The higher the PSI, the greater the water pressure. It is the essential fact for breaking down the dirt. It is different for different types of pressure washer. According to the PSI, gas pressure washer is the best to create more pressure and removing all kinds of dirt easily. The PSI of an electric washer is good as well. Note: The PSI might be different not only for different brands but also for different features. The volume of a mechanical pressure washer is denoted by the GPM which stands for Gallons Per Minute.GPM is the quantity of water delivered by the sprayer used for power washing and clearing the area. The higher the GPM, the greater the volume of water. 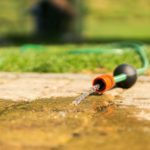 According to the GPM, gas pressure washer is the best to delivering more water as well as pressure and removing all kinds of dirt. CU stands for cleaning units. The CU score is the combined measurement of pressure and water volume. The higher the rating, the more power available to penetrate dirt and wash away grime. To get the most out of your pressure washer, it’s a good idea to match your cleaning requirements with the right type of model. Budget is an important factor when it comes to buying anything. The price of the electric pressure washer is in the middle range. The price of the gas washer is bit high. If you have a low budget issue, you can buy a manual or lightweight washer. But we always recommend buying an electric or gas washer because they are the best though the price is high. Warranty is one of the most important factors when you are choosing the best pressure washer. Only some of the manufacturer gives a lifetime warranty and others give at most 1 year,2 years or 10 years warranty. Even if you have the best pressure washer from the best brand, there is always a chance that you may have a bad luck with it. It always feels great when your washer is backed by some warranty. Most of the pressure washer is electric and only a few have other categories. So, you should definitely know how to use and maintain the pressure washer properly. Watch the video below to know the guideline for using the pressure washer. For different uses, there are lots of choices and washer available. Our different uses can be defined as three parts. Light Duty Work: Washing the car or light seasonal cleanup would be considered a light duty. Medium Duty Work: For tougher jobs like fences, driveways, and decks a medium duty would be a better choice. Heavy Duty Work: Heavy duty are mainly gas powered and excel at demanding jobs such as cleaning siding or preparing a surface for paint. They also can reach the second store in the house. Now, it’s your turn to choose the best one according to your budget, uses and the features that you need for your clean up. How To Add Quick Connects Disconnects to Electric Pressure Washer? For gas washer, quick connects disconnects is very easy. But for an electric pressure washer, it is not. Don’t worry. Watch the video below and your connects disconnects problem will be solved. If you are interested in the mechanism of a pressure washer, just watch the video below. In this video, you will know how pressure washer works as well as the common problem you may encounter. Can pressure washer damage your print work? If you are using your pressure washer for washing your car, the above question might come through in your mind. The answer is NO. The pressure washer does not damage the print work. Watch the video below to get the full idea. If this article was helpful to you, please let us know. Shoot a comment below with any questions or comments about gardening because your comments or critics are very valuable to us. Cheers!